screenshots – Jane Talks Tech! Find Your Samsung Galaxy S4 Screenshots? Press and hold the center key (at the bottom of the phone) AND the unlock key (right) at the same time. If your sound is turned on, you’ll hear a shutter sound.Your phone screen will also flash indicating that the screenshot was taken. 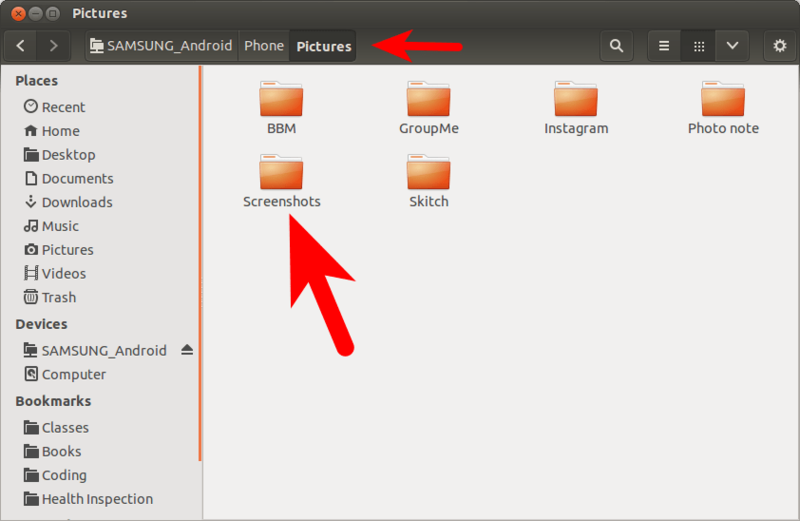 Posted on November 2, 2013 Categories UbuntuTags galaxy s4, pictures, screenshots1 Comment on Find Your Samsung Galaxy S4 Screenshots?